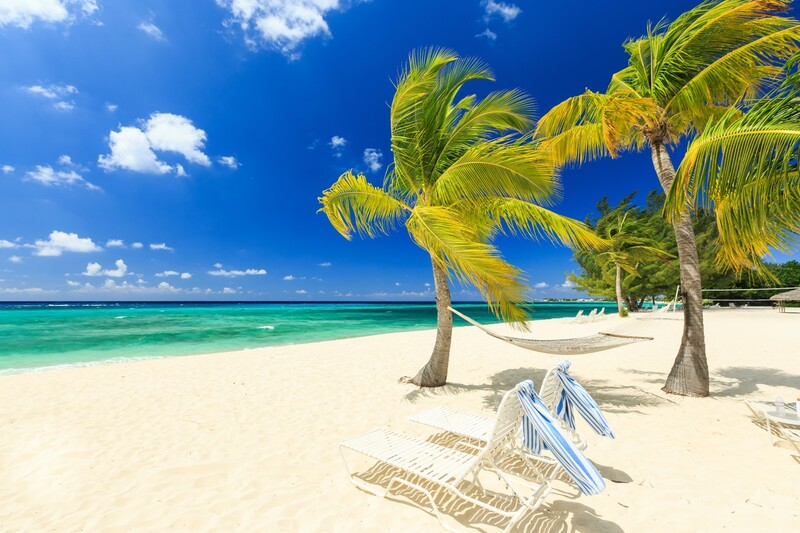 It is well known that Caribbean beaches are among the most beautiful in the world. 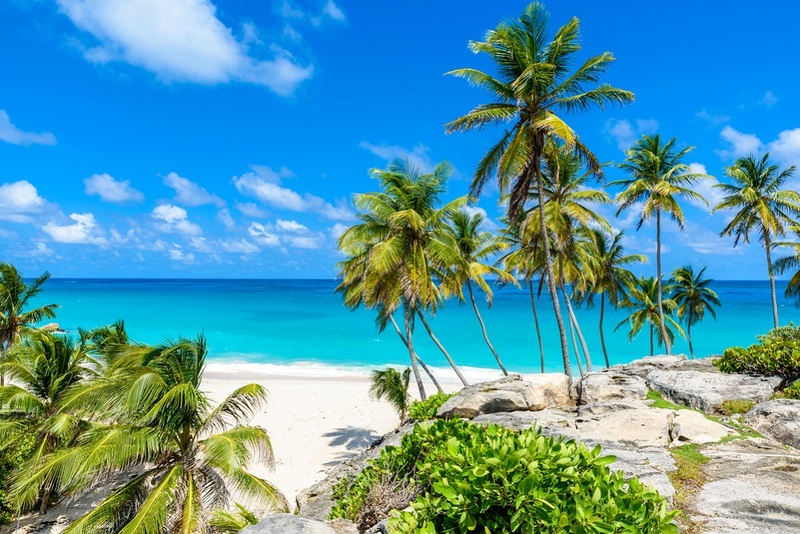 White, sometimes even pink powder sand, turquoise waters, palm trees, hidden caves, coral reefs… It is hard to choose from so many stunning islands and their paradise-like beaches, but here we will list 10 of them in random order. They are all equally gorgeous. The Baths is a unique national park and the BVI’s most popular tourist attraction. 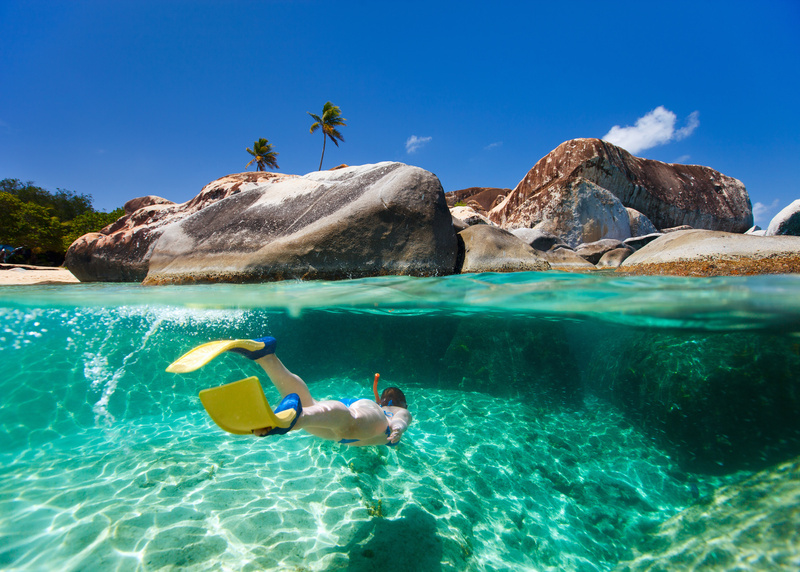 It consists of huge granite boulders that form scenic grottoes, tunnels, white sandy beaches and hidden rocky pools. Crystal clear water and secret caves summon you to wade or swim through them. 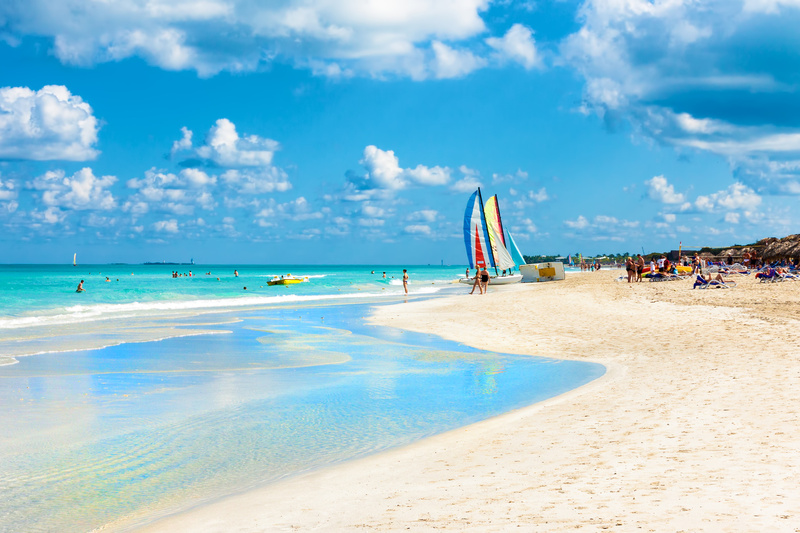 Varadero is Cuba’s longest beach. Almost 20 km of white sand beach with palm trees and turquoise water will give enough space to everyone, whether you want to do water sports like sailing, kayaking, scuba diving and snorkeling or just swimming and lying on the soft powder beach. 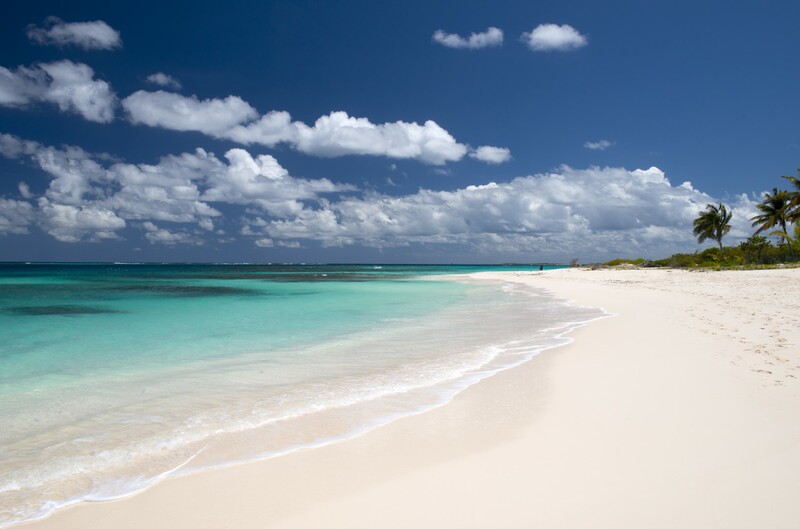 Anguilla’s most famous beach, Shoal Bay, will give you bright white sand and crystal clear waters with offshore coral gardens – perfect for snorkeling. There are a lot of beach bars and restaurants where you can eat and take a rest from swimming and snorkeling in this tropical paradise. Seven Mile Beach is often voted one of the world’s best beaches. 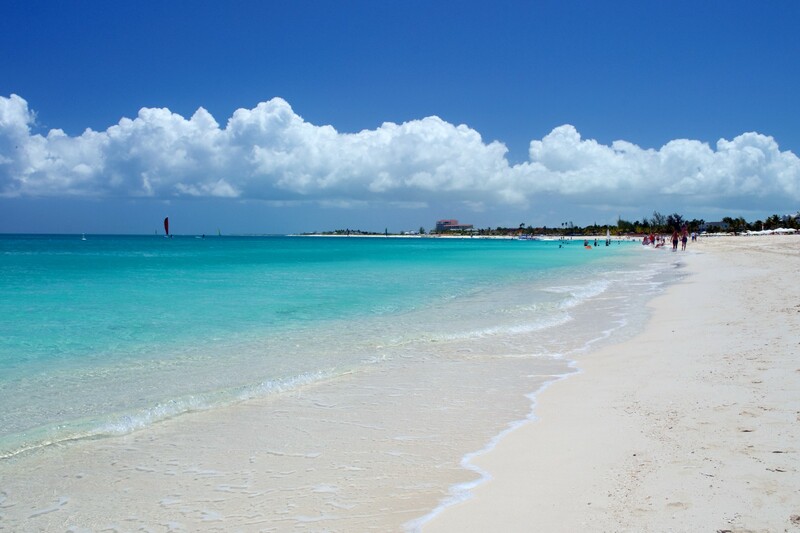 Its white coral sand and warm waters attract visitors from all over the world. It is public property which means you can walk the full length and pass luxury resorts and many restaurants. Don’t miss Cemetery Reef for some amazing snorkeling and scuba diving. The most beautiful beach in Grenada, Grand Anse Beach gives you gold sand, many shades of blue, palm trees and calm conditions. It is perfect for families and for relaxation. You will find sea stars and crabs in the shallows and lot of boutiques along the shore where you can buy souvenirs. Some of the best rated hotels in the world are located here, in Grace Bay. 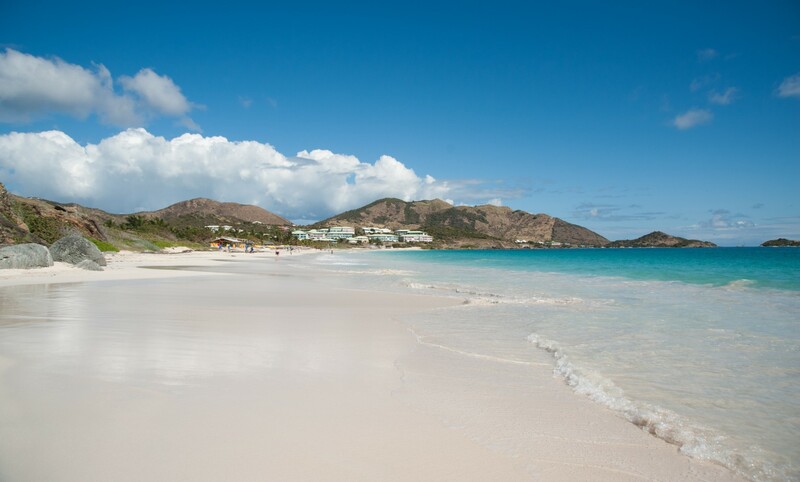 This gorgeous beach offers you soft white sand and clear waters. You can swim in the shallows or do some snorkeling in the reef just offshore. Swim with turtles and tropical fish in the Princess Alexandra Marine Park. As the name itself suggests, this beach is truly a nature beauty. 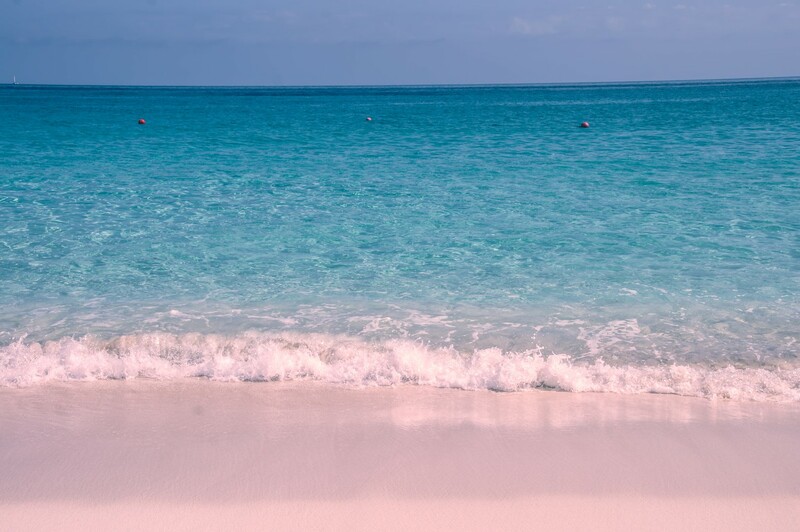 Soft and pale pink sand, made of crushed shells, will give you sunsets you will not forget. Swimming and snorkeling is protected by a coral reef. 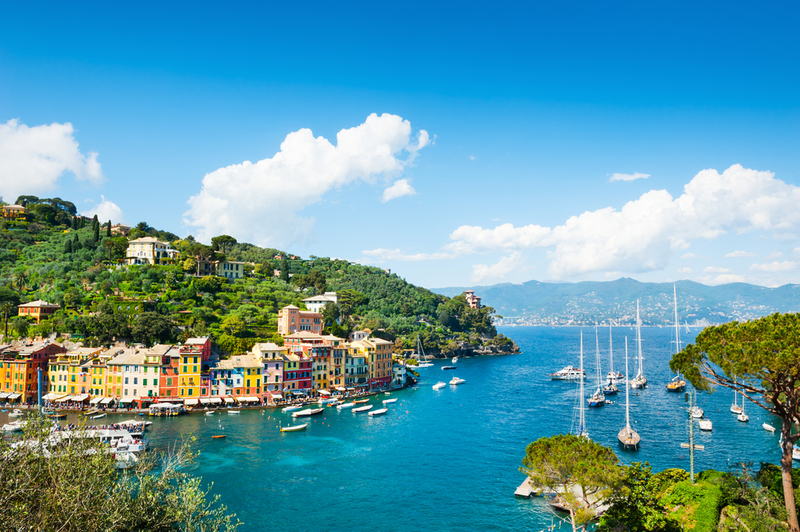 You will find many elegant resorts here and the laid-back vibe. 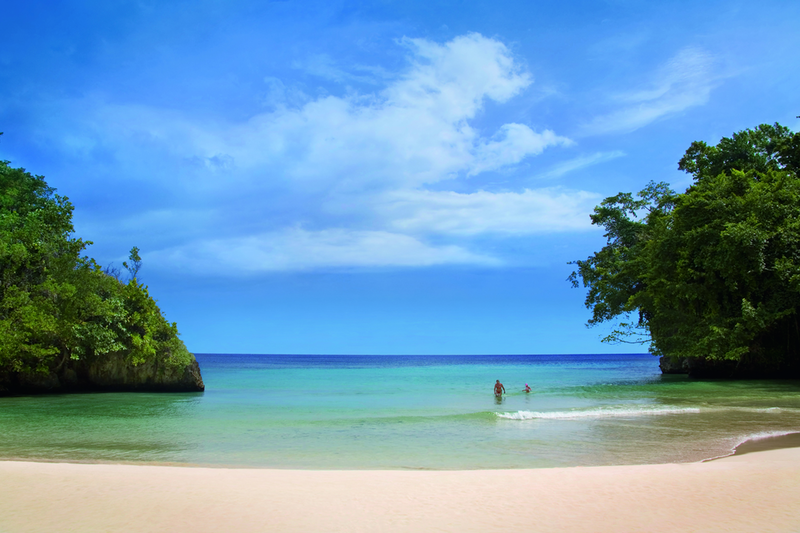 One of the most beautiful beaches in Jamaica, Frenchman’s Cove Beach, is really special. It is small but what makes it special is the fact that it is located next to a jungle with a river. 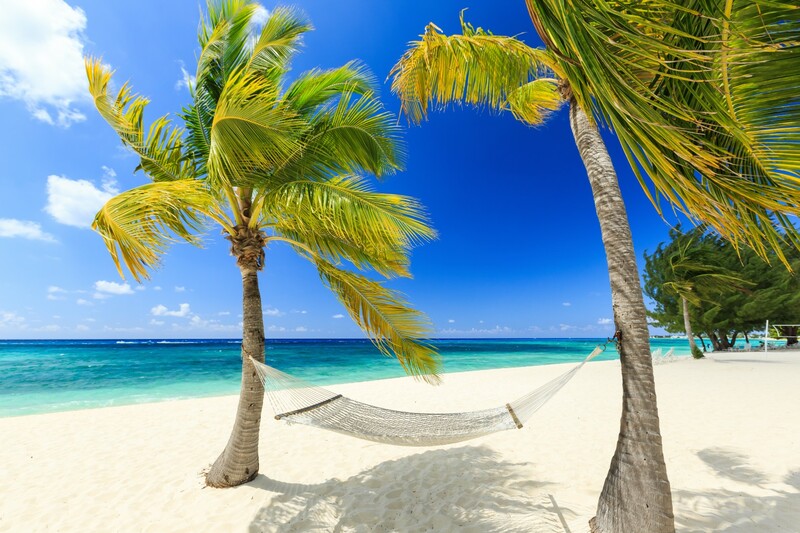 There is a lot of shade under the trees but you can also sunbathe on the white sand. There is a restaurant on the beach where you can eat delicious food and listen to live traditional Jamaican music. 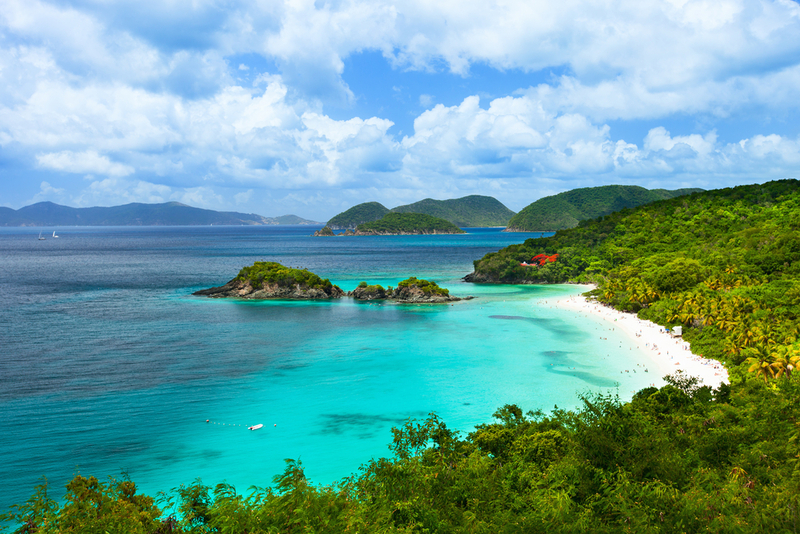 Trunk Bay is a National Park beach on St. John. Besides the silky sand and clean water, there is the Underwater Snorkeling Trail where you will see many exotic fish species and corals. You can also hike the park’s trails and visit the ruins of historic sugar plantations. 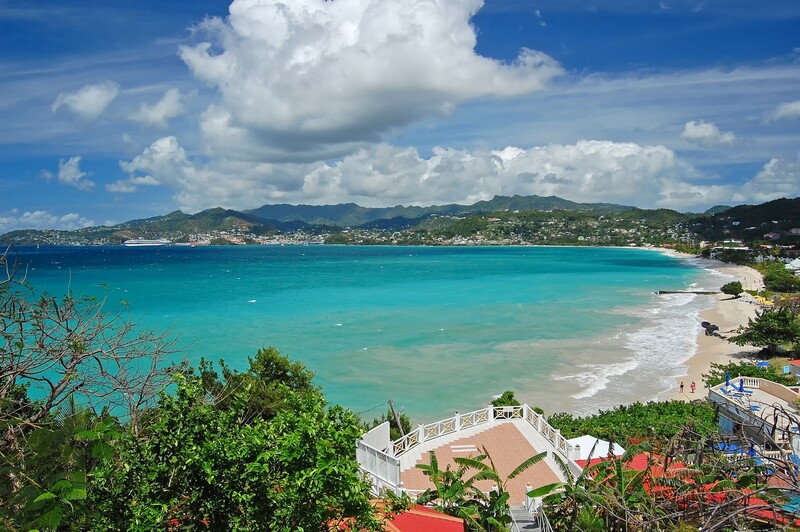 Often called the “French Riviera of the Caribbean”, Orient Bay Beach is a favorite celebrity spot and the most popular beach on St. Martin. White powder beach is protected by a reef and snorkeling here is great. There are many beach bars and restaurants where you can find everything from the French cuisine to pizza restaurants and local food offer. The south part is the nudist part of the beach.